dzclarkcpa had the most liked content! dzclarkcpa replied to club ho's topic in Balls, Carts/Bags, Apparel, Gear, Etc. Is there really any incentive to use the grips vs the sensors? As you mention, I really have not issues with my sensors, so I am not sure I would benefit at all. Also, I play mid-sized grips, so it's not an issue for me right now anyway. I love my arccos, but other than it being a really cool data point, I don't use it to improve at all. Lulu's is a fun place to hang out with the kiddos for sure. One of the best things I found this year as you could get on the wait to be seated list online which cut my 3 hour wait to 30 minutes! Glad you had a good time. We love Gulf Shores area...just enough to do without feeling overwhelmed. Second, third and fourth the Lambert's Cafe recommendation. My family (extended as well) make an annual pilgrimage to Gulf Shores every summer. We begin our trip with a stop at Lambert's for lunch of the Saturday we pull into town. Not only is it slap ya (need the correct enunciation here) momma good, there will be leftovers for the next day! We also usually arrange at least one other meal there during the week. If you are a cajun boil kind of family, Gulf Shores Seafood has a takeout meal that is really good and saves you the hassle of boiling the crab and shrimp yourself. If you want to get sucked into the "tourist trap" that is Lulu's, Tacky Jacks and The Hangout, the food is good (but so it the long wait time). If you have kids, spend a couple of hours at the Hangout, there is stuff for them. Another fun outing for the little ones would be the Track. It has go karts and small amusement type rides. As far as golf, I played Kiva Dunes my first time in GS about 6 years ago. The course just didn't do anything for me. For the last 5 years, I have been playing at The Peninsula Golf and Racket Club. This year for the first time they offered "Member for a week" and for I think $170, I was a member for the week. 5 rounds in 6 days. That was great for me. The course is usually in good condition and the people there could not be nicer. We love Gulf Shores. There is just enough to do without overwhelming you with feeling like you have to do something all the time. PS....if you venture into GS for the day, stop in at the Flipflop Deli Shop. It's a tremendously good deli, meat stacked to the ceiling on the sandwich and is owned and operated by a good old Razorback!!!! Tell him Doug from Dallas sent ya and Whoo Pig Sooie! Anyone still posting here? I will try to learn how. I may need some input on posting pics though. I agree, and usually, if I manage to not go OB off the tee on one, I am usually good for one in the swimming pool on 2. Ron, also there are several other good courses in the area. Check out Grapevine Muni. It's 27 holes of pretty reasonable priced golf. I have played Bridlewood and Fossil Creek lately and while a bit more pricey, it's not off the chart expensive. Sky Creek Ranch is also in the area and reopened not long ago after redoing its greens. Ron, I actually play Bear Creek quite often. The guys I play with are not members anywhere so we move it around quite often. I think there is a regular group at Bear Creek that plays every day. Ask at the pro shop and if you can't find one, let me know and I will ask around and see if we can find you a regular group. PS....I am actually playing at Bear Creek tomorrow. Ron - Welcome to the metroplex. Nearly mid-cites here, Trophy Club, but near enough to be neighbors. Curious about what course you are playing, because my group plays a lot around town and have yet to run into one that was not marked in some way (want to avoid it). If you want to save money and get a sense of what the course and yardages look like, I recommend Google Earth. 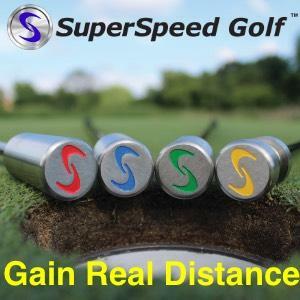 You can use the distance measuring tool to figure out yardages, etc. I often use this when I am going to play a new course. I have both a laser and a Sky Caddie, but what both miss for me is what part of the fairway is the widest so I can have the biggest margin of error. I would think for your use, you could use Google Earth to figure out distances from landmarks and add and subtract from there. Resurrecting an old thread here. After a few days of research and a few months of struggling with my lag putting, I pulled the trigger last night on a Rx4 model. I have found that I struggled to consistently find the sweet spot on my SC Newport 2 putter and it was primarily happening on long putts. Leaving a put 15 ft short or driving it 15 ft look was killing me. Not sure this is the answer, but I figure I have a few months of experimenting before it warms up (sorry for the guys up north, but I will be able to get out in shorts and golf shirts often over the winter!). I will keep you updated. dzclarkcpa replied to Club Rat's topic in Balls, Carts/Bags, Apparel, Gear, Etc. Seriously guys, if you are wanting to find golf balls, just invest in a pair of these!!!! dzclarkcpa replied to 3puttmaster's topic in Balls, Carts/Bags, Apparel, Gear, Etc. Ok, here goes..... 1 - Always tuck in my shirt, a) because it looks good and b) because I have a little bit of belly. 2 - Don't own cargo short, maybe there is hope for me. 3 - I have them, growing up we had a family friend that dressed this way....definite no - no for me 4 - Oakleys, no on this one 5 - Nope 6 - Does Apple watch count? 7 - Not every spring, but I will invest in a new putter every so often - NO 8 - Guilty 9 - Nope 10 - I would love to wear a Payne Stewart outfit, but not ballsy enough to pull it off I dont' think I qualify as a nerd, bucket had aside. Oh, I do already a set of iron covers (assuming that is what you mean). Now I only use them for when I travel (and I take them off in the hotel room long before anyone sees them on the clubs), but I do have them. That will be a late 2018 add to my nerd factor. Thanks for reminding me. Oh wow, what a timely topic. Confession, I have lost a towel in the last 4 weeks. Driving from the house to the golf course in the golf cart, it must have blown off my bag. I looked in the street, and it's nowhere to be found. That said, I went to local golf store and bought a nice long "golf" specific towel because I didn't want to offend my wife by stealing a bath towel (and staying happily married is high on my list of things to do). I recently went to a 14 divider bag and lay the towel over the clubs. 1/4 wet, 3/4 dry is my preferred towel setup. I have started walking, with a pushcart (holy smokes, if I add a ball retriever to go along with my bucket hat I have the nerd look down pat) so the bag and towel are never far from me on the green. My dilemma, I restocked on golf balls last week and Snell had an offer to add a towel. Without thinking, because I am a huge Dean Snell fan, I added a towel to my order. It is delivered and low and behold, it is smallish towel with a clip in the corner. The horror........ So in my round yesterday, I began to notice that the large towel sitting on top of the clubs, or snaked between them, makes it difficult to see where the club goes in the 14-way divider. So as I am walking, part of my post -shot routine has become wondering if maybe the clip towel I got from Snell might make it easier to use. Rationalization? Maybe....but these are the troubled times I live in. Guys, can I get some help. I already meet several of the nerd qualities (pushcart, bucket hat, 14 divider bag, Sketcher shoes), should I just bite the bullet and clip the towel to the side of my bag and get rid of the big towel? If the answer is yes, I am sure I will be back here in six months asking for the input on what ball retriever to add to my bag. Game Golf, Arccos, GolfPad Link, Sky Golf, Etc. dzclarkcpa replied to Brad W's topic in Balls, Carts/Bags, Apparel, Gear, Etc. OP I have used GG and currently use Arccos. What has been said above is my experience as well. GG for me worked just as well as Arccos. I went with Arccos because I liked not having to remember to tap anything, but when I was doing it, it was not that big an issue. Both are going to have some missed shots and/or bad GPS readings just because of nature. I actually nearly went with the Sky GOlf Game Tracker a month or two ago just to try it, but it was out of stock, so I can't speak to that one, but my guess is it's about the same. Arccos will talk about its Caddie function, which sounds really cool, but the reality is it has a long way to go. I support it, but honestly, it has a ways to go before anyone should make the decision to buy Arccos over GG for that part of the program. Bottom line, both are good at what they do. I can't find where there is much difference (right now) between the 2 on stats, so pick one and roll. I voted for pre-shot because, for me, it is more important that I get into the right mindset to assure I am mentally ready to hit the shot. However, as of lately, I have started to put more emphasis on the post shot. Recognizing the feelings and results of shots can help me later in a round. So said another way, pre-shot for me is more important across multiple round, but post shot is becoming more important during the current round.